I’ve taken a little hiatus because things have been a little busy, but we are getting stuff wrangled and now the logistical Legos are almost done being stacked. After a frenzy of last minute edits in February, I entered my first book, 122 Rules, in the Amazon Breakthrough Novel contest. Unfortunately, it got cut the first round, so I submitted it to TinHouse Publishing in Portland, in spite of my misgivings that didn’t seem like a good fit. I did so because I have a friend, Thomas the editor, that works there, but eventually he confirmed my suspicion and told me to shop it around. Well, in this business we need to try all the angles, right? I still have hope though since no one in the publishing world has actually read the book yet. Isn’t that what all authors say? If only I could get someone to actually read it, they’d see! LOL! Anyway, starting in July, I expect things to be settled down enough to start the submission/rejection process I’ve heard so much about. 122 Rules, Redemption is sitting in a folder on my computer waiting to be edited and molded based on changes to the first book. The third in the series—code named, Jake—is in the same folder about a half complete. Yesterday, I wrote the first few paragraphs of a new book, completely separate from the 122 Series. Erin and I have been kicking the idea around of co-writing for a while and a couple days ago she showed me the first bit of what she’d written. Spoiler alert: It is REALLY good! As she does, Erin inspired me and little creative juice later I had “inked” 384 words of something I’m really excited about. With all that is going on I don’t know how long it will take us to finish, but one thing is for certain, we are going to enjoy the journey! I am beyond thrilled to announce that my lady, Erin Albert, is working on the edits for her second book, The Outlanders. This is the continuing saga of Wil, Nash, Layla, Vespa, Vance, and a slew of your other favorite characters. In her epic fantasy adventures mysteries abound, twists and turns confound, and kingdoms and worlds collide and threaten collapse. I’ve gotten to read it several times and it is all kindsa amazing. 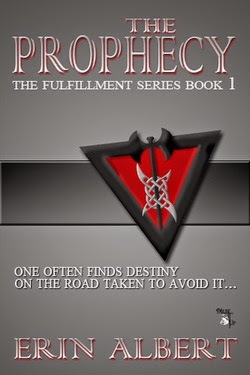 Prophecy fans, you thought the first one was impossible to put down? Well, I promise you this one is even better. Sorry, no spoilers here. Watch Erin’s site for updates. Of all that’s going on in my life, the absolute BIGGEST, most GIGASTIC news is that on a cool, windy March day on a North Carolina beach, Erin agreed to marry me! NOTE: Yes, absolutely, I wonder about her sanity too. But, since I am a direct beneficiary of her lapse in judgment, I’m not going to question nor point out that on the day in question she must have been severely dehydrated from her run the day before or temporarily dung-house rat cray. So, at the end of April we packed up her house and trekked 3000 miles west, across the country where we, like the brave settlers of yore that drove their minivans and U-Haul trailers on that famous, historic trail: Interstate 80, ended in Oregon. We will live here where, together, we will endure the rain and hippies. 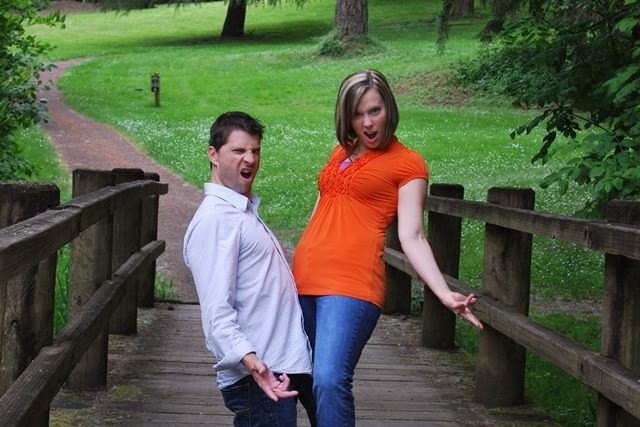 Here are a couple of my favorite engagement photos! First off, Congrats on the engagement :) Second, and I am a bit biased here, but co-authoring is a amazingly fun and fulfilling process. You should absolutely do it! And lastly, welcomed back tot he blogging world!